Icantdance » Blog Archive » Renovations of my room. 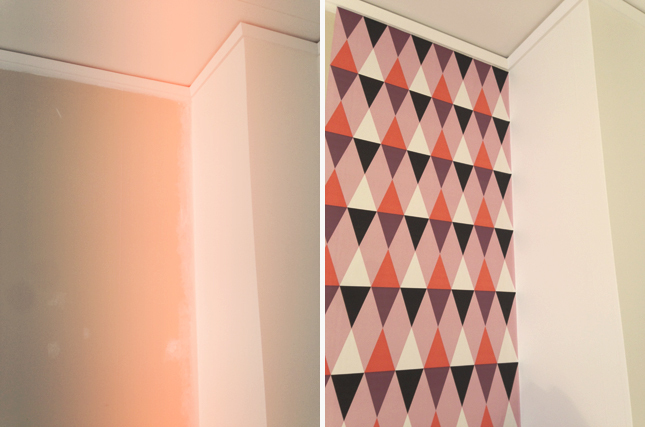 We finally started to renovate my sewing room after New Years. 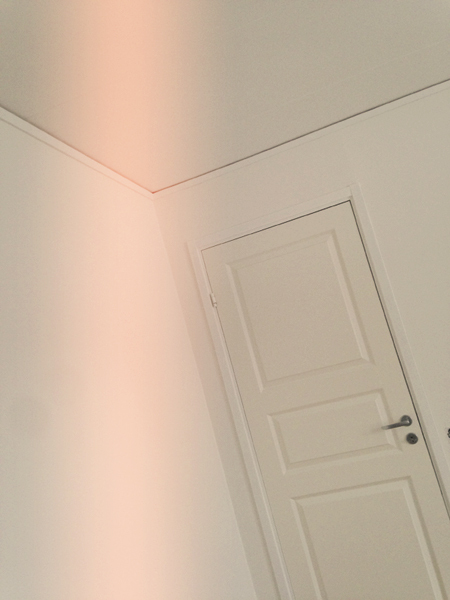 It had badly painted cardboard paint, an old cork plastic carpet and an uninspired feeling. 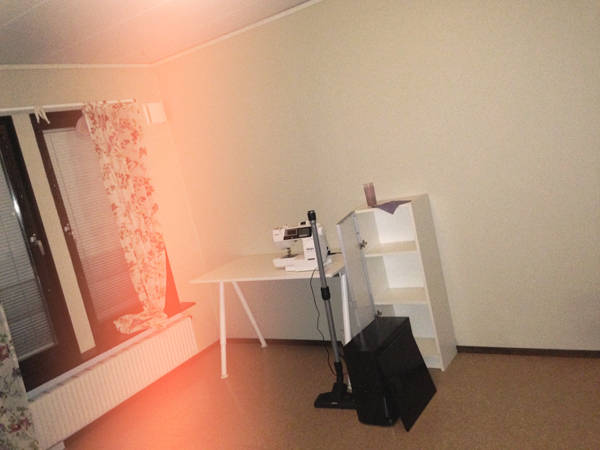 This photo shows before, when I’ve moved out most of my things. 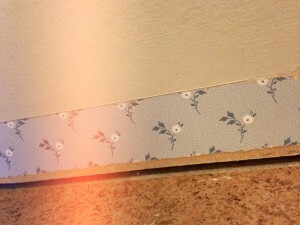 This little flowery 80ies paper was underneath the horrible paint. 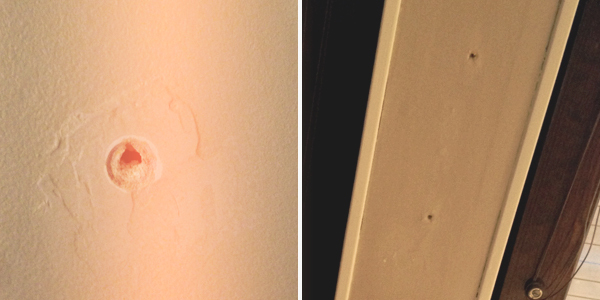 The previous owners of this house had just put putty over screws instead of removing them before painting the walls, not smoothing it out either.. it truly looked bad. I probably removed over 10 screws, then applied putty and smoothed it out so you can’t see the holes any more. 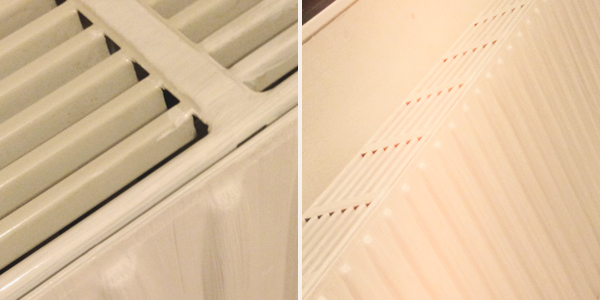 I also painted the radiator which had turned a dirty grey. It was not fun to paint with all those lines, but now it’s white. Matt painted the ceiling and then we got started on the walls, white white white. And here comes the lovely wallpaper I picked out. It’s by ISAK called Nova Dawn. I bought it from tapetorama.se and it arrived within 5 days I think. The site said 1-2 weeks so brilliant service. I also ordered a sample which I got within a day so I could pick out the right white colour for the walls. 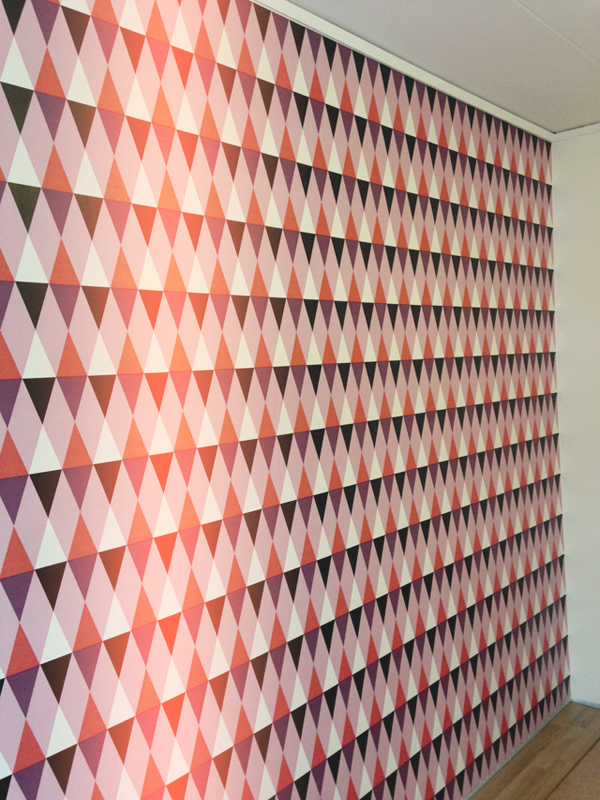 Will definitely order from them again if we need a certain wall paper. And here is the wall all ready. We are putting in new floor this weekend, it’ll be a light oak floor. And then it’s time to find furniture! This entry was posted on Thursday, January 23rd, 2014 at 16:00	and is filed under Days. You can follow any responses to this entry through the RSS 2.0 feed. You can leave a response, or trackback from your own site. Så snyggt det blev! Älskar din tapet. Åh tack, jag är jättenöjd!